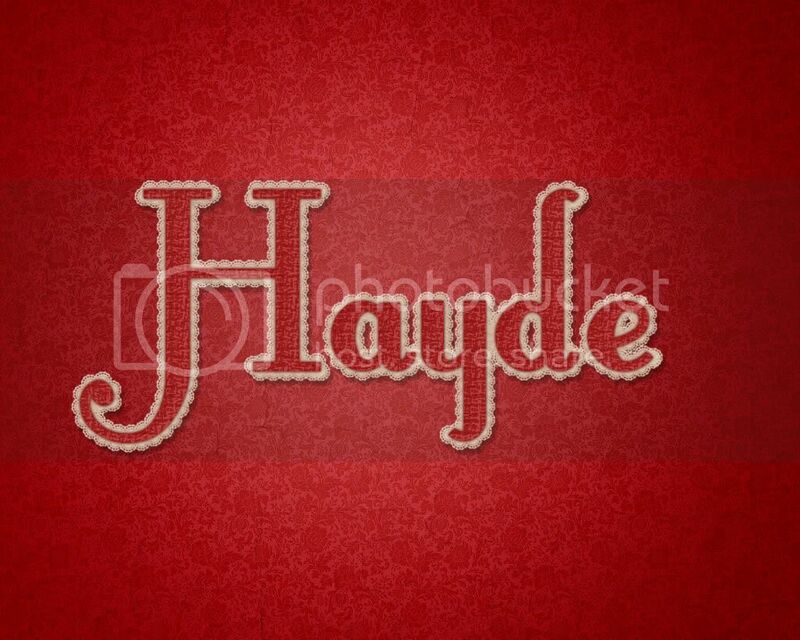 In this tutorial, we are going to create a lace brush and modify its settings to create a lace-like stroke, and then, apply some Layer Layer Style to finish up the text effect. Damask Modern pattern by TechII. Open the Damask Modern pattern and set the Foreground color to #a9834f. Go to Image > Adjustments > Hue/Saturation, or press Ctrl/Cmd + U, and check the Colorize box. Then, change the values as shown below. When you’re done, go to Edit > Define Pattern, and type in Background Pattern for the name. Open a new 1280 x 1024 px document, set the Foreground color to #e5636f, and the Background color to #970214, then create a Radial Gradient by clicking on the center of the document and dragging to one of the corners. Double click the layer and apply a Pattern Overlay effect, change the Blend Mode to Linear Burn, the Opacity to 50%, and choose the pattern you’ve just defined. The Background should look like this. Place the Texture-cracked wall image on top of the Background layer, and change its Blend Mode to Soft Light. This will create a nice background. Create a new 270 x 270 px document, and pick the Custom Shape Tool. In the Options bar, click the Polygon Options pop-up menu, then check the Smooth Corners, Star, and Smooth Indents boxes, change the Indent Sides By to 10% the number of Sides to 12. Draw the shape so that it fits within the document, and make sure that its color is Black. Pick the Ellipse Tool, and click the Paths icon in the Options bar. Create an elliptical path as shown below. 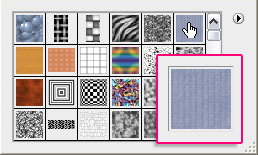 Choose a hard round brush, and open the Brush panel (Window > Brush) to change its Size to 20 px and the Spacing to 180%. Create a new layer on top of the shape layer, set the Foreground color to White, and pick the Ellipse Tool once again, then right click the path to choose Stroke Path. Choose Brush from the Tool drop down menu, and make sure that the Simulate Pressure box is un-checked. This will stroke the path with white circles. Hit Enter/Return to get rid of the work path. With the Ellipse Tool still active, draw another path that is smaller than the previous one. Pick the Brush Tool and change the Size to 7 px and the Spacing to 150%. Pick the Ellipse Tool again, and follow the same steps to stroke the new path with the new brush. Remove the eye icon next to the white Background to make it invisible, then go to Edit > Define Brush Preset, and type in Lace for the name of the brush. Back to the original document, create the text using the color #ae1616. The font used is Fontleroy Brown NF, and the Size is 750 px. I also changed the Tracking value to 10 to avoid overlapping. Create a new layer under the text layer and call it Stroke. Then right click the text layer and choose Create Work Path. Once the path is created, select the Stroke layer once again. 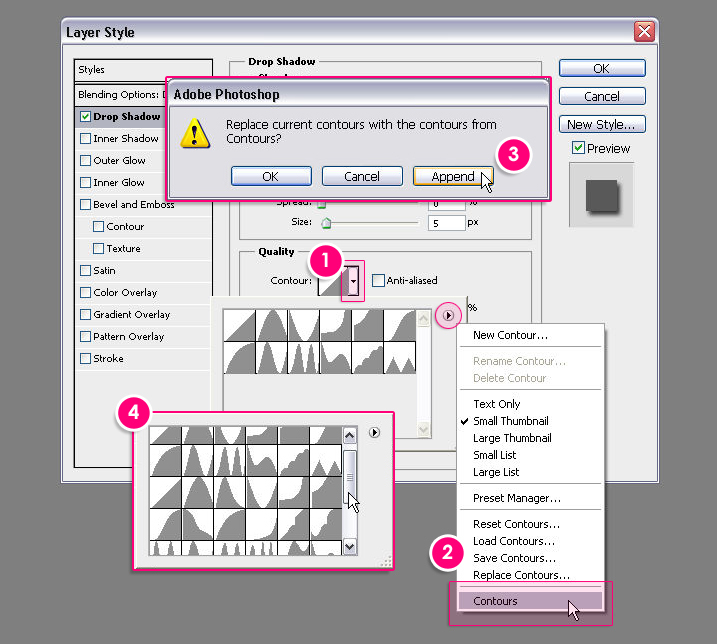 Choose the Lace brush you’ve just created, and in the Brush panel, change the Size to 30 px, and the Spacing to 70%. Set the Foreground color to #f5f4e6, pick the Direct Selection Tool and right click the path to choose Stroke Path. The text should now have a nice lace-like stroke. This is optional, but you can create a new layer on top of all layers, set the Foreground color to #f5f4e6, and choose a hard brush to draw some circles in order to create the flowers, then apply the Ivory Layer Style. This is the final outcome! 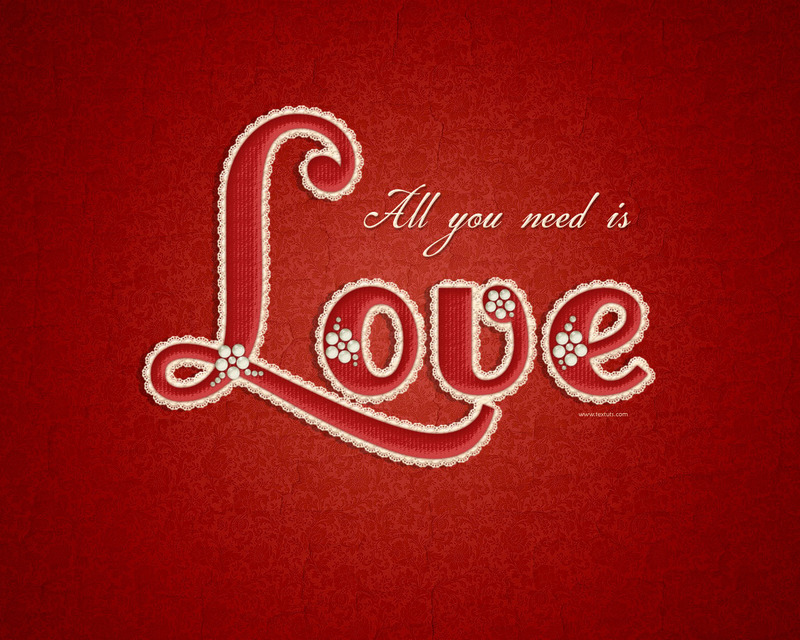 What font are you using for “All you need is”? i really enjoyed this tutorial. how we can add this layer style in photoshop? That looks awesome! Very well done! As for Step 7, you need to download the .zip style file and extract it to get the .asl file. Then, open the Styles panel (Window -> Styles), load the .asl file (check this link to know how to do so), and finally, select the layer you’ve drawn the circles on, and click on the new style that appeas in your style panel after loading it, this will apply the style to the layer. Loved your tutorial! I am still learning Photoshop and these tutorial are so well written and teaching me so much. Thanks again! I’m glad you found the tutorials helpful. Thanks a lot for the comment. Where can I get the some nice layer styles? Please recommend site like you used it. Thanks for the comment. I actually create all the layer styles I use, but you can search deviantart.com for layer styles or simply google “free photoshop layer styles”. Hope this helps! LOL Don’t worry I figured it out, the settings were wrong and they were coming out in caps….. silly me 🙂 But still a wonderful tutorial. I am in the middle of following this tut and I just have to say, thank you for creating it and sharing it freely with us. I sigh at how pretty it is every time I look at the end result. I’m glad you liked the tutorial. Thanks for the lovely comment once again! Parabens pelo excelente tutorial. Muito lindo . Por favor; se possível eu gostaria de conseguir a “TEXTURE ANTI FARM ” mencionada na 3ª figura da 5ª etapa. Muito obrigado e um grande abraço. Carlos Alberto , da Cidade do Rio de Janeiro – Brasil. As for the Ant Farm pattern, I’ve added it to the resources section, you can download it here. You just need to extract the file and then load the pattern to use it. Please check this image to see how to get the contours. Of course you can! I would definitely like to see your outcome of the tutorial, so you can post a link to it in a comment, and I will check it out. Your result looks awesome! I like how it turned out a bit different. I guess you might really be using a different texture (the original one is this one). Or the size of the text might be the reason, as for a smaller text size you might need to decrease the “Scale” value of the Texture. But other than that, I think you did a really good job! Thanks for the link and the comments. Glad you’re finding the tutorials useful. Love this look of the lace outline. Fantastic tut, very complete and well-explained. Thank you! It was an awesome tutorial. It was really interesting. But, I cannot figure out how did u get the brush marked outside of the text and not all over it. I am getting it all over the letters and not outside of the text alone. Help pls.. The order of the layers is important, you need to get the stroke layer under the text layer, so that the text covers the inner part of the stroke, does this work? This is one of the best tutorials I’ve seen. Love, Love, Love it! I would love to know where you learned to be so good at photoshop? I am self-taught, and I’ve learned most of the stuff through the tutorials around the web. It takes so much practice and passion to be good at anything, and I’m always still learning! Very very nice my daughter is been asking me to do something with her name and this was perfect. Thank you very much. This is how it came out. Thank you very much for the nice comment, I’m so glad you found this useful. great tutorial. 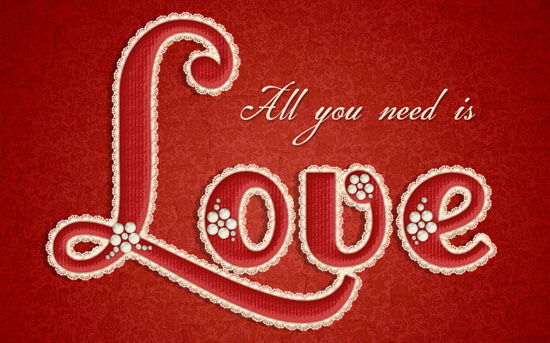 I like the background, the cracked texture and the lace text itself… excelent work! Did you make sure to change the Spacing value of the brush? Thank you so much for this tutorial! I do wish I’d found it months ago! Love this tutorial, however my lace pattern didnt come out as a strong white colour like yours. any ideas? When you pick the Brush Tool, make sure that the Blend Mode in the Options bar (at the top) is set to Normal, and that the Opacity and Flow values are set to 100% each. If the problem still exists, please feel free to leave a reply. I’m so glad you like the tutorials. Thanks once again for the comment. Hi. Where can I get/ download the woven texture? I don’t seem to have it in my photoshop. Hey great tutorial and cant wait to get it to work. But how in at the end of step 3 and beginning of step 4 do i make the holes transparent. When i use the magic wand tool it just makes them black.. Thanks in advance for the help and thanks again for this awesome tutorial! You don’t need to make them transparent, just before you stroke the path, make sure that the Foreground color is set to White (#ffffff). This will stroke the path with white dots, and white represents transparent in a brush. I really enjoyed the time spent trying to emulate your art. It was hard (it’s been short since I work with the program) but it deserved every second. Glad you enjoyed creating them. Thank you so much for the comment and the links. It was awsome tutorial, but I had only one problem – the white color in laces and flowers isn’t bright. but more like grey. I’m new at Photoshop, I don’t know what I did wrong?! When you pick the Brush Tool, make sure that the Opacity and Flow values in the Options bar at the top are set to 100%, and that the Mode is set to Normal. Thanks a lot for the comment and the link. Does anyone have the brush for this ? (Lace Brush Preset) I have CS6 and it doesn’t seem to come out, I’ve tried it 7-8 times already, and so frustrated….and when I apply the inner circle (path) inside the polygon, it won’t come up in the layers pallete…Please help !! At which step exactly do you get a different result? Can you please make sure you are working on the mentioned layers? You might need to check that the “Shape” option in the Options bar is the active one (and not Paths) when creating the first shape. If the problem is with the brush, make sure that the Opacity and Flow values are set to 100% in the Brush Tool’s Options bar. If the problem is something else, please feel free to add more details, and screenshots of the issue if possible. Thanks a bunch for the kind words. I learned so much from this! Thanks for taking the time to post it! This work is very nice. But I have a problem, how can I do the gaussian inverse contour? You need to load the Contours. Check this image to see how please. Hi! I actually tried to create my own design based on your tut. It’s a great tut, btw. However, when I tried to create another word (with the same size, font, and color like “Love”), I cannot stroke path. I created work path and created new layer for stroke, but when I clicked “Stroke path” by select tool, it didn’t pop up any panel. I tried “Path channel” but I didn’t work. It would be nice if you can explain for me how “work path” works and “stroke path” works. So you actually can click “Stroke Path”? Or is it grayed out? When you mentioned “but when I clicked “Stroke path” by select tool”, did you mean the Direct Selection Tool? Because that is the tool that should be selected. This is shown in the 4th image under Step 4. You might need to go to View -> Show -> Target Path (make sure it is ticked), or go to Image -> Mode, and make sure that the “8 Bits/Channel” is the selected option. Also, please check the layers order, and make sure that there is no layer on top of the stroke layer blocking its contents. That’s super awesome to know! Thanks a lot for sharing your work.